Walking through the aisles of drug stores, department stores, and beauty stores while shopping for makeup can be utterly overwhelming--the bright lights, endless brands, and uncountable products can turn a quick trip to buy a lipstick into a confusing and frustrating process. Deciding between brands, products, and colors is hard enough, but recently one more layer of consideration has become important to many shoppers--ethics. "Cruelty-free" cosmetics are becoming more and more popular, yet some brands are still falling behind. Here are five drugstore brands that you can be sure do not test on animals and create products that you can always purchase completely guilt-free. "NYX Professional Makeup is certified and acknowledged by PETA as a cruelty-free brand. We are committed to producing cruelty-free cosmetics. We do not test any of our products on animals. "Wet n wild® NEVER tests on animals, and we are super proud of this. We never have, and we never will. We believe in beauty without cruelty first! None of our furry, feathery, or scaly friends were harmed in the making of our products. Whether you’re a card-carrying vegetarian who is committed to animal rights (and good for you! ), or you just love puppies and bunnies and want them to smile (and who doesn’t? ), we are with you! We want that too! In fact, most of our products are not only cruelty-free, but vegan as well." "Pixi does not test on animals, nor do we have any other parties, such as suppliers, conduct any animal testing on our behalf. Pixi uses only the highest quality ingredients which have a proven safety record and are widely used in the cosmetics industry." "We do NOT test on animals or endorse such practices. Our products do not contain animal derived ingredients. Beeswax has been replaced by synthetic beeswax and lanolin has been replaced by Bis-Diglyceryl Polyacyladinpale-2. We currently support HSUS and are partners with PETA in the Caring Consumer Project." "Essence cosmetics is owned by Cosnova Beauty from Germany where animal testing for cosmetic products has not been permitted since 1998. 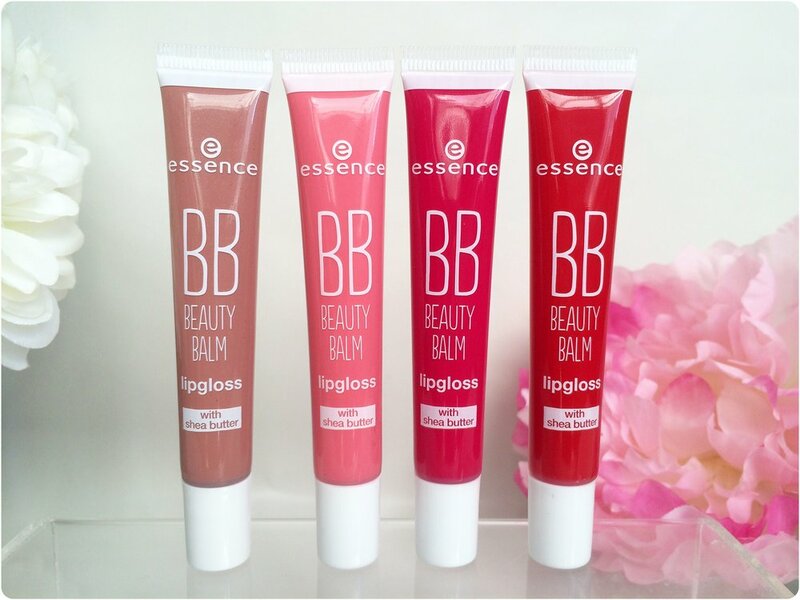 All of essence products comply with the European and American ingredient, manufacturing, and testing standards. Our suppliers are also held to these same standards and we only partner with the ones that do not test on animals." Whether you're looking for Halloween ideas or just want to see what your astrology sign looks like in real life, we've collected some of the best horoscope beauty looks below! (Click on pics to view slideshows). Some of your favorite high end beauty products have dupes that are just as good for half the price! Both blushes are infused with flecks of gold and bronze, giving the same look for a fraction of the price! Both of these are super hydrating, this lightweight liquid foundation is made with 40-percent water, meaning it will lock in hydration for the same smooth, dewy finish as the Giorgio Armani foundation! Just like Too Faced's best-seller, this carbon-black mascara has an hourglass-shaped wand that grips literally every single lash for volume and length. These liners both have ultra-skinny, felt-tip brushes, making it easy to swipe a bold line across your lash lines. Not only is it the best drugstore dupe for Kat Von D's liner, but it also truly doesn't budge or flake. This dual-ended brow definer has a super-skinny tip that mimics Anastasia's Brow Wiz's, making it super easy to bulk up sparse brows by drawing hair-like lines! Nothing's worse than finding an adorable hairstyle pic but not being able to recreate it. So here's a collection of step-by-step hairstyle tutorials to help you stay cool and look stylish this summer! I like to start off with push ups because it warms up my arms and abs. Do this move with your knees touching the ground or not, whichever you prefer. Just remember to stay aligned and keep the proper form. Try to complete about 15-30 reps slowly. 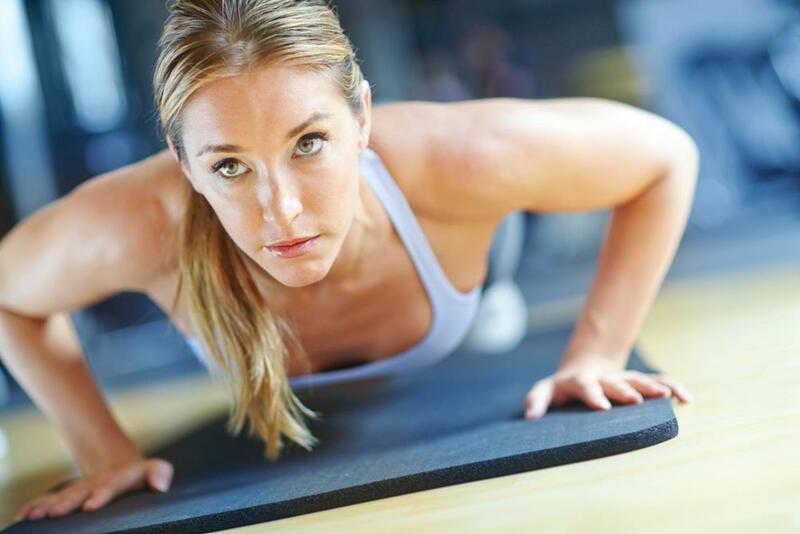 Since you're already in the push up position, transition into mountain climbers. If done correctly, this move can really increase your heart rate and burn calories. Do this move for about 1 minute. Transition to your back for crunches. Proper form is very important for crunches so that you don't strain your neck! Make sure not to pull on your head but rather rely on your abs to do all the work. Try to complete 25-50 reps.
Next is the starfish crunch. To do this start out by lying on your back in the shape of an "X". As if crunching regularly, use your abs to reach one arm to your opposite toe. Repeat with opposite arm & toe. Do a total of 15-30 reps counting each reach as an individual rep. Still lying on your back, transition into leg raises. Remember to lie flat and keep your head on the ground. You can keep your hands by your side or under your lower back. Don't let your legs touch the ground and try to complete 10 reps. Depending on how many reps of each you did you may have more commercial break time. Start from the beginning until your show starts up again. Good Luck & Happy Exercising! Here are 10 trendy hairstyles you should try this summer! Who hasn't heard of Balayage. This hair trend is all over the internet from Instagram to Pinterest. Some celebs rocking this 'do include Halle Berry, Chrissy Teigen, Jessica Biel, Sarah Jessica Parker and Ciara. As the unicorn and mermaid craze rages on, it was only a matter of time before rainbow hair took center stage. And so now the question is, why have boring hair when you can dye it to look like cotton candy? Braids are always a summer favorite. They keep the hair out of your face while also looking super cute and sporty! Whether you try them in pigtails, one braid to the side or as a braided crown make sure to get creative with this hot summer hair-do. While on the topic of braids, why not throw in a couple small accent braids to spice up your hairstyles this summer? 90's throwback? Maybe...but this hot trend was recently spotted on the runways of Roberto Cavalli & Missoni, not to mention all over Coachella. Summer's hot! But this haircut is hotter. If you're tired of dealing with your long mane in the summer heat than definitely go for this chopped look. Need inspiration? Some celebs who recently took scissors to their luscious locks include Vanessa Hudgens, Lucy Hale, Julianne Hough, Lily Collins and Emma Watson. This look has been around since last summer and I have a feeling it's not going anywhere anytime soon. It's casual, it's cute, but most importantly it's easy to do! It's basically the half-up/half-down hairstyle reinvented. Pixie cuts aren't for everyone but if you're feeling a little adventurous, summer is the perfect time to test out one of these cuts. And just because it's called a Pixie doesn't mean you have to look like a fairy. Take some styling advice from celebs like Jennifer Lawrence, Shailene Woodley, Scarlette Johansson & Rihanna. For those who dread the thought of even getting their hair trimmed...this ones for you! Extra long hair is a thing this summer. And if you don't mind putting up with the length in the summer heat it's definitely do-able. You just might want to brush up on your braiding skills and stock up on the pony tail holders. People are reaching some pretty ambitious hair coloring goals these days. Whether they dye their hair entirely one bright color, make an ombré creation or add subtle pops here-and-there, this trend is all over the place. Some celebs spearheading this movement include Kylie Jenner, Kelly Osbourne, Ariana Grande, Katy Parry & Rihanna. Pigtails are no longer just for little girls. These fun buns are perfect to get your sweat on, go to music festivals or just hang out! Unsure about it? Try using only the top layer of your hair or putting the pigtails into braids first. Pinterest has tons of cute ways to pull of this look. Good luck and we wish you many Great Hair Days in the summer of 2017!